Any discussion on the several festivals of India goes beyond the more popular and well-known festivals like Diwali, Eid, Holi and Durga Puja among others. 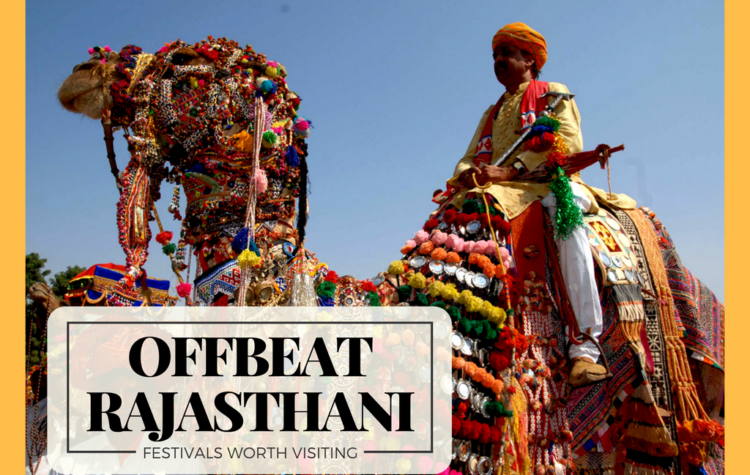 There are fair few offbeat and lesser known festivals in India that deserve due credit. 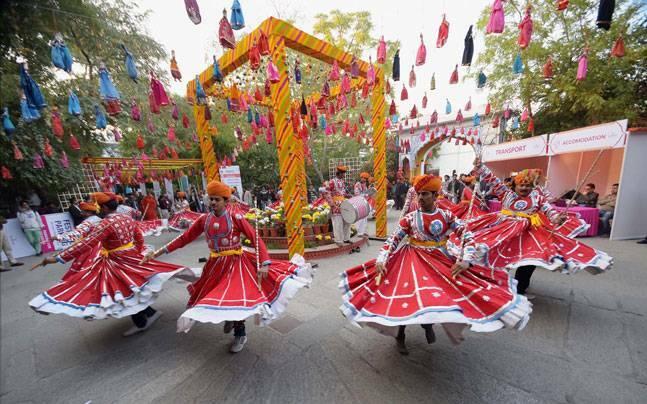 The Jaipur literary festival started in the year 2006 in Jaipur, the capital city of Rajasthan and has over the years grown into one of the largest literary festivals in all of Asia. As the world’s largest free literary festival it plays host to a number of writers and authors including some big names in the literary fraternity. The Diggi Palace hotel serves as the main venue for this prestigious literary festival, with sessions held in the hall of audience and the gardens of the Diggi Palace. Celebrating writers from across the globe this five-day festival has been attended by some of the best regarded and loved names including Nobel Laureates and Man Booker Prize winners. The festival can boast of hosting writers and noted personalities like Jhumpa Lahiri, Chimamanda Adiche, Orhan Pamuk, Margaret Atwood, Salman Rushdie, Ruskin Bond, Nobel Laureate Amartya Sen and talk show host Oprah Winfrey to name just a few. Apart from literary personalities people from all walks of life including sports people, historians, entrepreneurs and some of the greatest minds from across the globe collect here to interact with each other. As though this wasn’t enough, there are also a variety of stalls selling food and handicrafts to keep visitors entertained further. After the literary workshops and talks have finished for the day, musical performances held in the evening keep the festivities going on well into the night. Festivals connected to agriculture occupy a prominent place in India and are celebrated with reverence and enjoyment in many states of India. 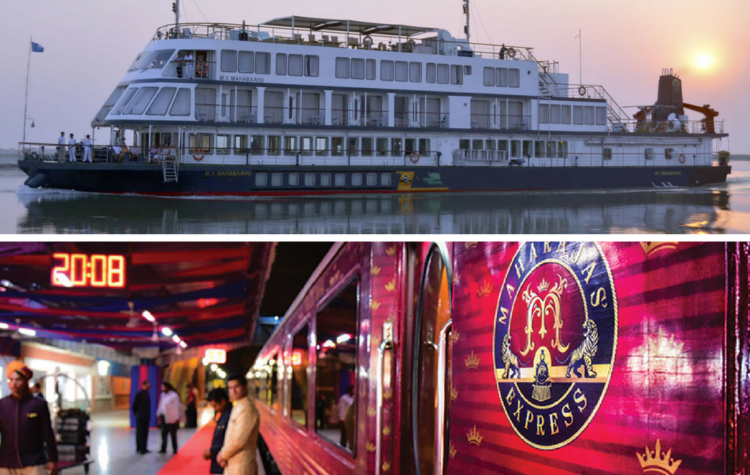 Assam, the land of tea, lush green forests and the mighty Brahmaputra, is no different. 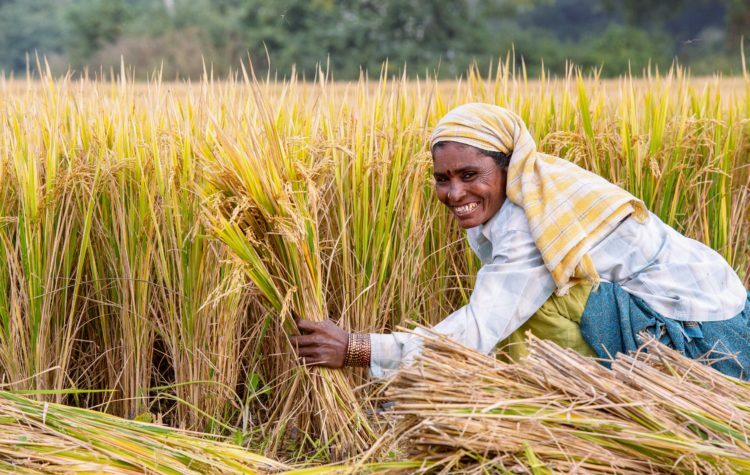 The Bihu festival, the most important festival in Assam is celebrated thrice a year each time coinciding with the cycles of paddy cultivation, from sowing to harvesting. Rongali Bihu celebrated in the month of April marks the beginning of the Assamese new year. Celebrated over several days, this festival is a festival of merry making and joy. People dressed in traditional Assamese attire move around in groups singing Bihu songs and doing the graceful Bihu dance accompanied with traditional Assamese musical instruments. The entire Assam valley in keeping with this spirit becomes vibrant and joyful and the sweet fragrance of beautiful flowers fills the air with a festive feel all over. Savories and traditional sweets are prepared at home and people visit each other to exchange Bihu greetings. Rongaali Bihu is followed by the more sober Kongaali Bihu celebrated in the middle of October. This Bihu is not celebrated with as much gaiety as the other two Bihus. The reason being that at this time paddy is still in the growing stage and the granaries are empty. Prayers are said and customary rites performed diligently for the success of the crop. Kongaali Bihu is followed by Magh or Bhogali Bihu in the month of January. Bhogali meaning feasting and this Bihu is mainly a festival of giving thanks as the crops have been harvested and the barns are full. Bihu songs and dance are an integral part of this Bihu as well and continue late into the night with the entire community gathering around a bonfire. The end of this Bihu is marked by the Bihu Bidaai or farewell to the Bohaag Bihu. 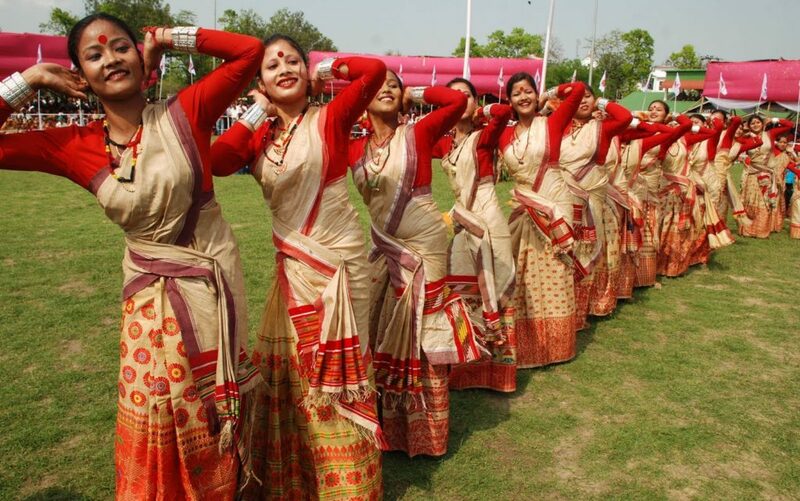 The beauty of the Bihu festival lies in the fact that it is celebrated with equal enthusiasm all over Assam by all communities irrespective of caste or religious beliefs. Ever year in the month of July the 2 day Hemis Festival is held in the Hemis monastery in Leh , Ladakh. This 300-year-old monastery, home to about 500 monks, plays host to thousands of spectators gathered here to be a part of this spectacular event. The Hemis festival held on the 10th day of the Tibetan Lunar calendar commemorates the birth anniversary of their Guru, Guru Padmasambhava who is believed to be a reincarnation of Lord Buddha. 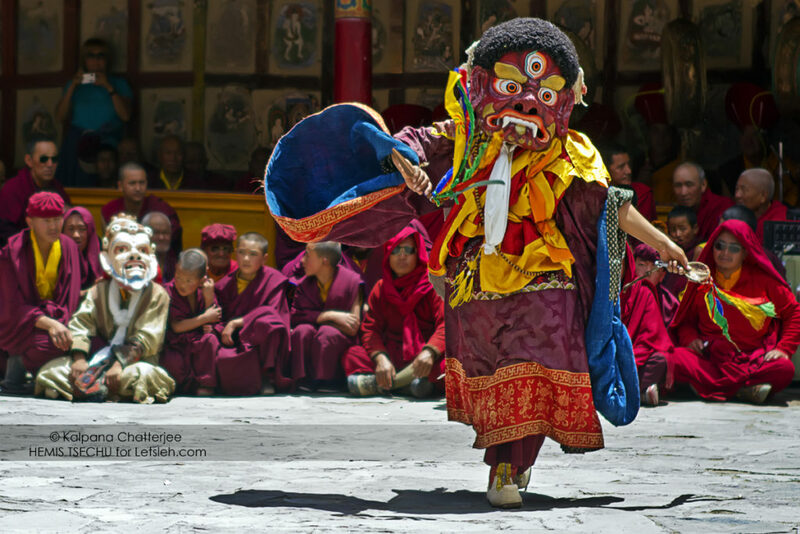 The highlight of this festival is the Chham dance, a masked dance performed by the Lamas of the monastery. Held in the courtyard of the monastery around the central flag pole this dance depicts the Victory of good over evil. The Chham dance is an integral part of Tantric Buddhism and is performed only in monasteries that practice this form of Buddhism. The entire monastery especially the central courtyard is decorated and becomes the stage for songs, dances and plays. Supervised by the head Lama, the festival begins by displaying the portrait of Guru Padamasambhava so everyone can seek his blessings. Every twelfth year the festival displays the two storey high Tankha of Guru Padamasambhava which is embellished with pearls and semi-precious stones on silk. Apart from the dances and other cultural performances, there are stalls set up outside the monastery selling handicrafts and souvenirs typical of the region. The local population dresses up in traditional colourful costumes and join in with the festivities with as much enthusiasm and spirit as the monks. Attended by scores of people from India and abroad this Hemis Festival is truly one of a kind. 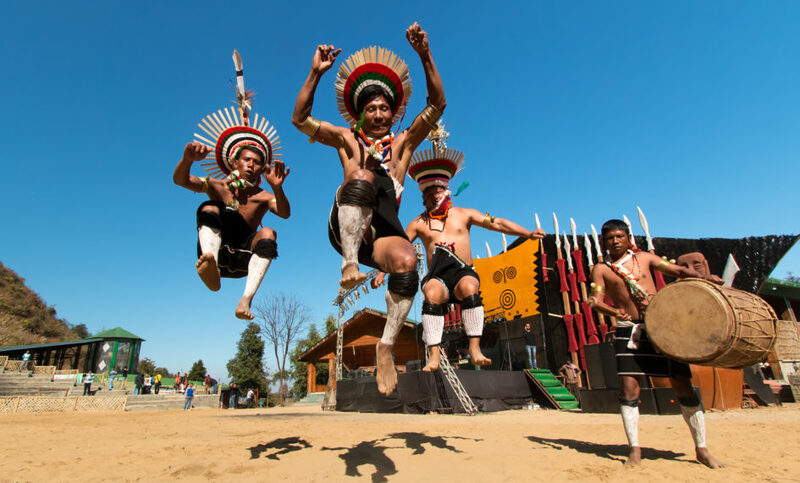 Named after the Hornbill bird, the Hornbill festival is one of the most popular cultural festivals held in Nagaland, in the North East of India. It started in the year 2000 and is steadily gaining strength with each passing year. 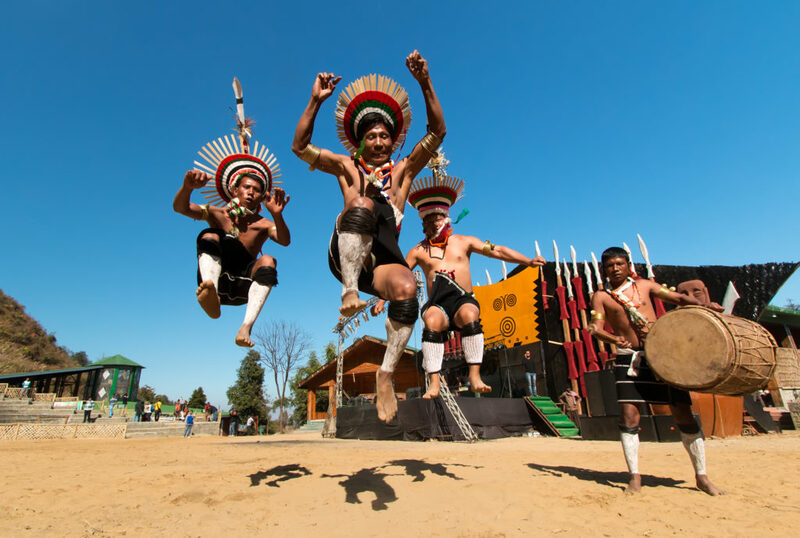 Each year from the 1st to the 10th of December the Hornbill festival takes place at the Naga heritage village of Kisama, about 10km from Kohima the capital of Nagaland. This ten-day long cultural extravaganza includes performances, indigenous games, a craft bazaar and a series of competitions in various activities. The festival offers an opportunity to each tribe to showcase their traditions and heritage through song, dance and sport. The warrior log drums, the headgear and the exquisite costumes typical to each tribe are all an integral part of this festival. Other interesting features of this festival include the chilli eating contest, the pork eating contest and the Kohima night bazaar. Aimed at promoting, protecting and reviving the age-old Naga culture and tradition, the festival also encourages tribal bonhomie and interaction. A prominent feature of the festival is the male dormitories or morungs which are replicas of tribal hut settlements. Each tribe is represented in their respective morung. Delicious cuisine typical to a particular tribe is served in their respective morung along with the best rice beer. Over the years the festival has seen increased participation by cultural troupes from the other North Eastern states of India too. A mix of the old and new the festival also hosts rock bands from all over the country. The widely attended Hornbill National Rock Festival held in Kohima at the same time adds to the celebrations. This combination of traditional and modern aspects has made this festival extremely sought-after and it definitely deserves to be on everyone’s cultural calendar. Khajuraho in Madhya Pradesh, a must-see on the itinerary of tourists visiting India, is famous for its temples built during the reign of the Chandela dynasty between the 10th and 12th century. A perfect blend of stunning architecture and sculpture this marvel in stone has been designated as a world heritage site by UNESCO. Adding to the existing popularity of these temples is the Khajuraho Dance festival held in the temple premises in the month of Feb each year. A week long festival it celebrates the classical dances of India. The festival highlights the richness and variety of various Indian classical dances. Musicians and dancers from all over congregate here to watch and participate in this dance festival. The various Indian dances, like the Oddisi, Kathakali, Kathak, Manipuri, Kuchipudi and Bharatnatyam etc , performed with magnificently lit temples in the background attracts visitors from everywhere. 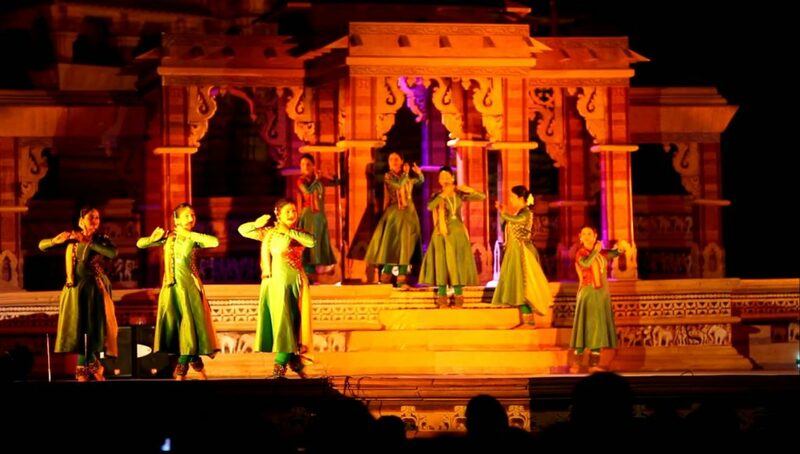 The dances are performed in open air in front of the Chitragupta and the Vishwanath temples. The exquisite 1000-year-old temples provide an idyllic backdrop to dances by some well-known artists. The festival also includes documentaries and short films about fine arts and classical dances. Apart from the dance performances several artisans set up their stalls displaying and selling handicrafts and other crafts to visitors coming to the festival.